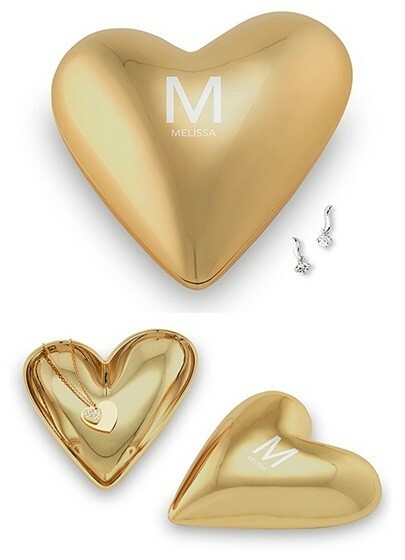 This modern gold-colored coated-metal jewelry box features a stylized heart design and a polished gold-colored interior. Even better, the lid may be etched with a single initial and a name or line of text beneath monogram to create a keepsake they will cherish for a long time to come. PLEASE NOTE: Pictured jewelry is not included.